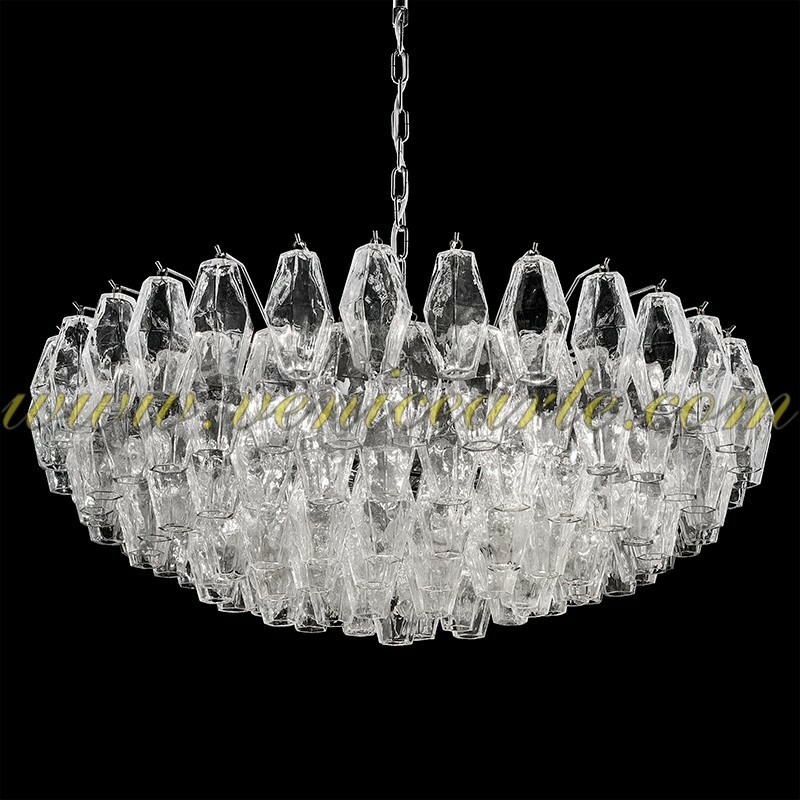 Plays of light and reflections in the many faces of this beautiful Murano glass chandelier from a stylistic idea of Carlo Scarpa. 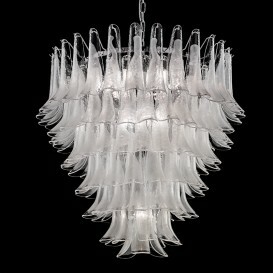 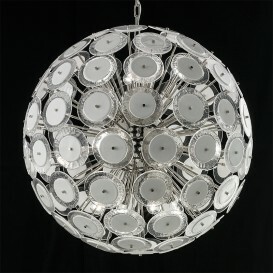 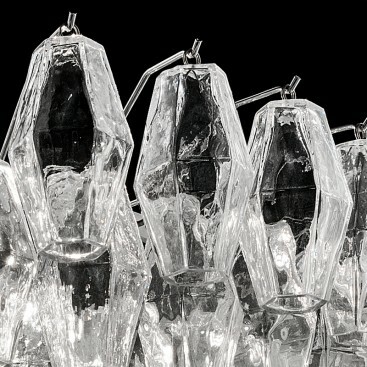 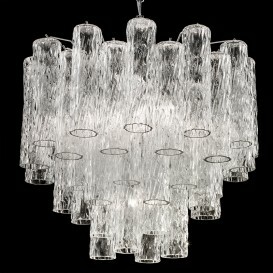 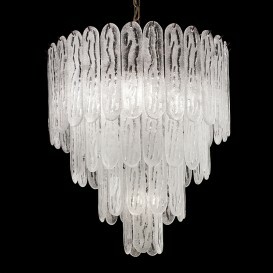 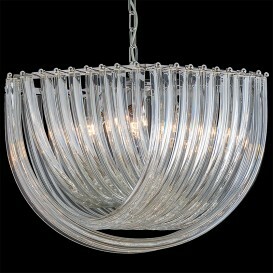 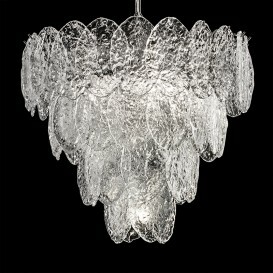 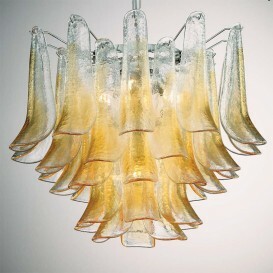 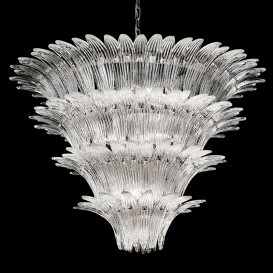 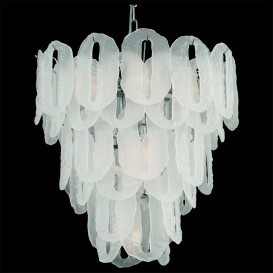 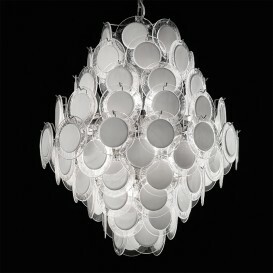 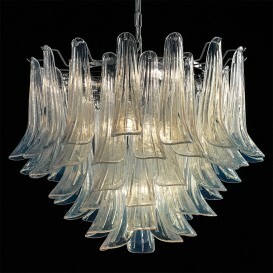 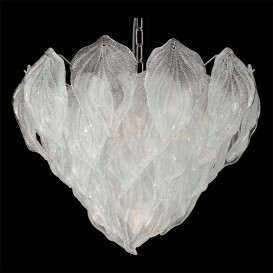 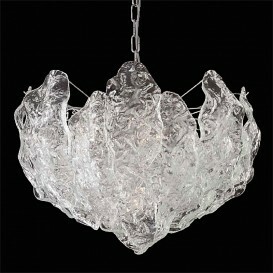 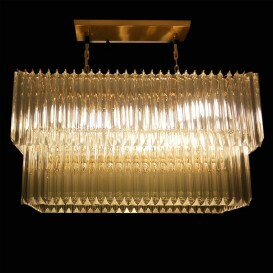 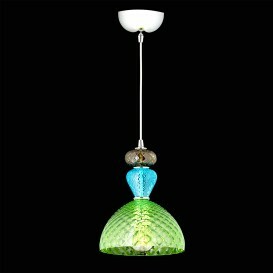 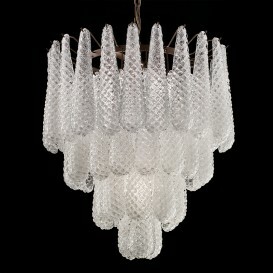 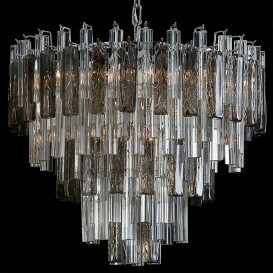 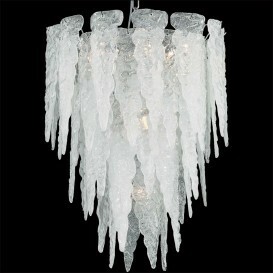 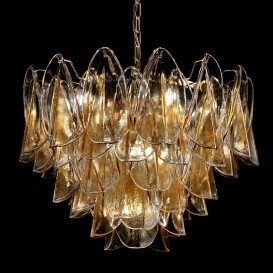 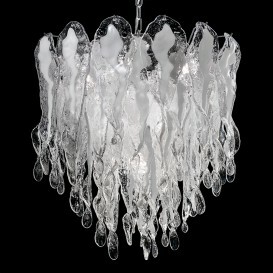 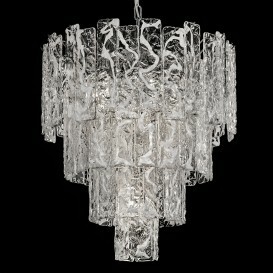 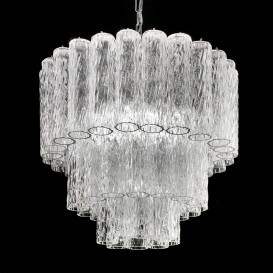 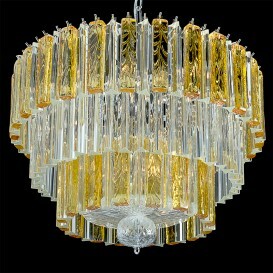 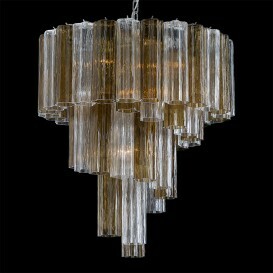 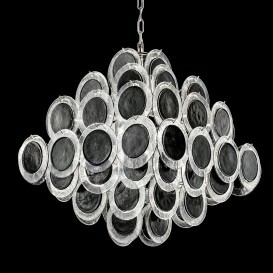 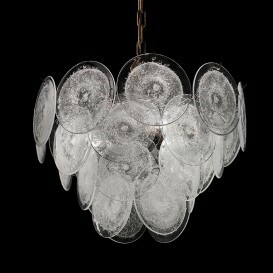 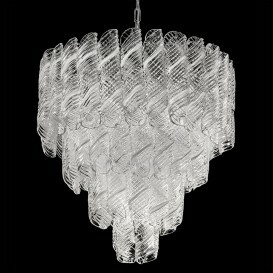 Plays of light and reflections in the many faces of this beautiful Murano glass chandelier. 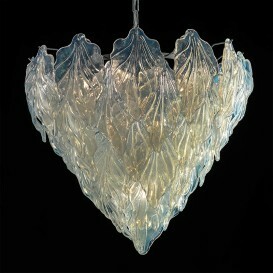 Transparent glass. 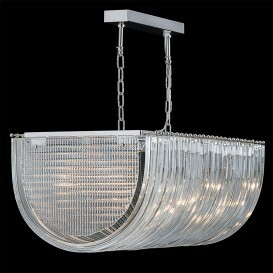 Chromed frame.